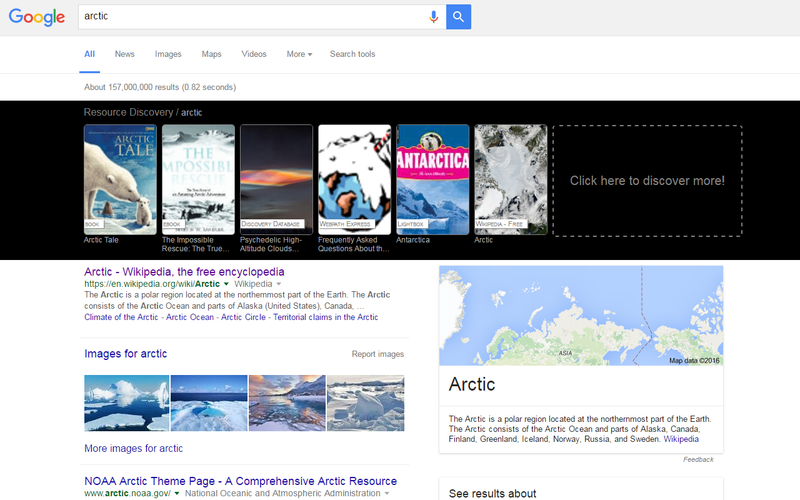 We know that you love to search for educational resources using Google’s amazing search engine. But sorting through millions of results can be time consuming and often yield unwanted results. What if when you searched Google, it also searched your District owned educational resources and displayed them within the Google search results? 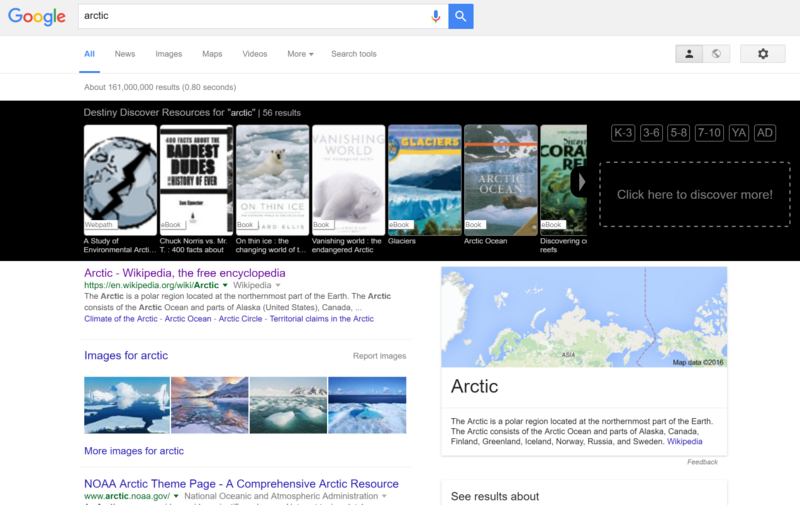 We introduce to you a Chrome Extension that merges Follett results with Google results. 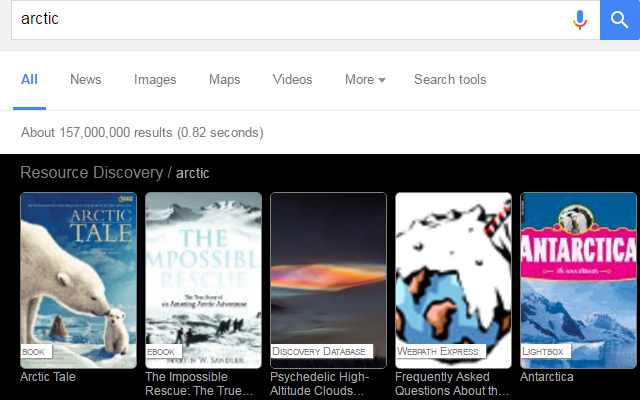 Destiny Discover is a Chrome Extension that gives you the experience of searching on Google, but also injecting resources from your District. This extension pulls in resources such as Books, eBooks, Lightbox, Webpath Express and more. Once you install the extension, you will need to configure it to search a specific school in your district. Simply open GoFollett.com, search for your school and go to the Destiny Discover homepage. 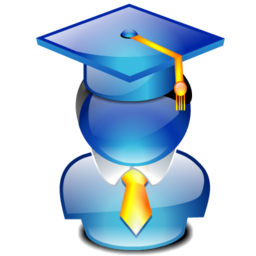 Your extension will be automatically configured to search that school. If you wanted to switch schools, simply open GoFollett.com again and search for the new school you want to switch to, then go to the Destiny Discover homepage. Please note: You must be on Destiny version 13.5au1 or higher for the extension to work. If you are a Follett hosted customer, you are on the latest version. Destiny Discover extension has graduated! The core development team has picked up the work on this project and have released it to the public.